First look at this book and I was convinced that I was going to have a fun weekend savouring it. 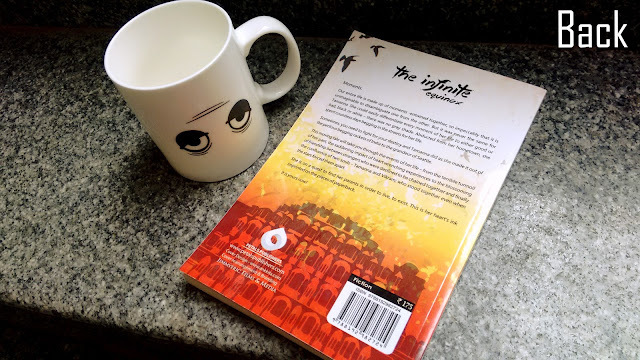 Unluckily, my Chai was the only short period I could spend with the book as loads of work at home was calling and I to unwillingly put it down, getting to read only its summary. I have read raving reviews about this book all over the internet. 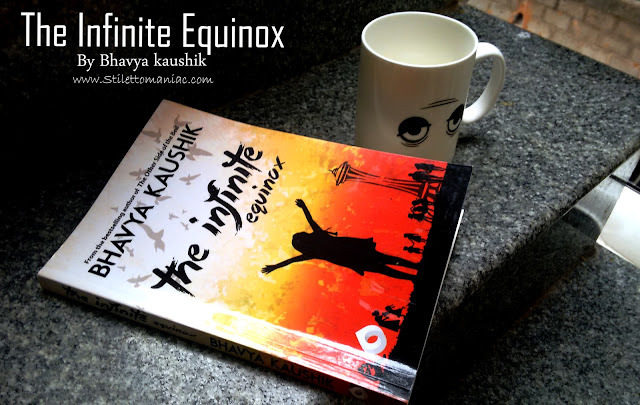 Everyone's all praises especially the people who bought it on Amazon and Flipkart. 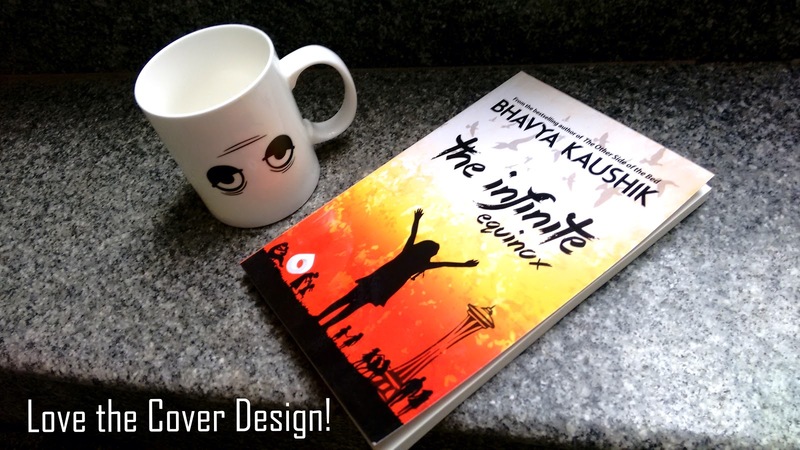 When Bhavya won this blogging contest with me, or many others that followed, I had NO clue that I was sharing the limelight with a published Best seller author! 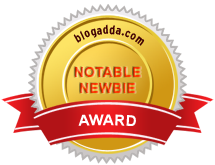 So you can imagine my surprise when he broke to me that he was one of the five youngest published authors of India on the Indiblogger forum nearly a year and a half back. 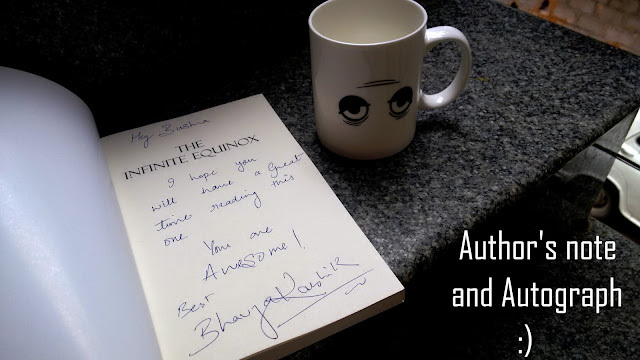 For a while after that I was constantly pestering him to send me one of his published books, autographed by him, for me to read and hopefully write a review :P (I find reviewing books as annoying as much as I love to read them!) Days went by and before I knew it, he had published another book. This time, he stayed put to his word and finally couriered me a copy of his second book ~ The Infinite Equinox! Moments. Our entire life is made up of moments -entwined together, so impeccably that it is unimaginable to disambiguate one from the other. But it was never the same for Tamanna. She could easily differentiate every moment of her life to either good or bad, black or white - there was no gray shade. Abducted from her hometown, she spent countless days begging in the streets for her life. 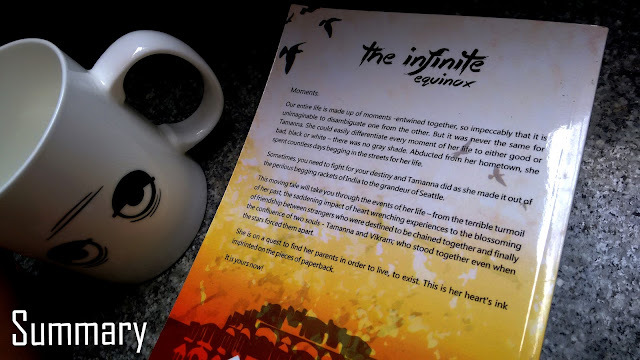 This moving tale will take you through the events of her life - from the terrible turmoil of her past, the saddening impact of heart-wrenching experiences to the blossoming of friendship between strangers who were destined to be chained together and finally the confluence of two souls - Tamanna and Vikram; who stood together even when the stars forced them apart. She is on a quest to find her parents in order to live, to exist. This is her heart's ink imprinted on the pieces of paperback. You can buy this book on Amazon / Flipkart.